People start businesses for all kinds of reasons. As idyllic as some may make it sound, starting a business and working for oneself is not for everyone. Some people are born entrepreneurs. Others are not cut out for it. There are a few lurking surprises that may easily trip up budding and aspiring entrepreneurs. First of all, it requires a massive investment - money, many hours of hard work, dedication, commitment, innovation and patience. All of these need to be orchestrated and delicately balanced, coupled with an enormous amount of luck for success. Then sometimes there is the bitter realisation that one might not make a whole lot of money from a specific endeavour after all. It is this last part that some entrepreneurs find particularly difficult to navigate. Facing reality and having to change course regularly is not easy for most people. It is paramount for a successful entrepreneur. If you are an entrepreneur, it can cost you your livelihood if you are too stuck in a particular frame of mind. These people are the ones that push on against the odds with, for example, an unrealistic profit goal as the primary motive for their labour. Their return on effort becomes a huge disappointment and usually continues to be, the longer they persevere. The harder they try, the worse it can become. The more they persevere, the more costly it becomes financially and emotionally. Money, and more accurately, profit should not be the reason for being in business. It removes the agility that should naturally come with entrepreneurship. When people with an overbearing money motive become entrepreneurs, it is often out of necessity. They may not succeed in finding employment or be in a place that doesn't offer other opportunities to earn or enough for their standard of living. They are likely to be hampered by a lack of passion for what they do and for what it takes to succeed. Financial reward should be the result or outcome of a successful business with the right foundational values. If a company exists for the right reasons, then profit becomes a by-product of an entrepreneur's overall success. What then are the right reasons for being in your own business? Some people have a desire to become involved in all aspects of a company's operation. We call them the pathological learners. They are the makers and creators. One position, one job, product, a single career is not enough to stimulate their curiosity. Having their own business give these entrepreneurs an opportunity to do and try a lot of different things. Their primary motive for being in business is to learn, explore and experience. They find new and innovative ways to accomplish goals. They are the inventors, engineers, creators and experimenters. Their success heavily relies on their ability to gather a team around them to fill the gaps they leave. They move from one fascinating opportunity and project to the next. Other people start businesses with the desire to put a personal touch back into doing business. People are motivated by meaning and purpose and the synergy it provides with others. They are the connectors and value creators. Having one's own business intimately involves the owner with staff and with customers. It offers a chance to connect with people and with a cause that may not have been possible otherwise. Sometimes the reason goes beyond the business operations and involves a larger community or purpose. We often get feedback from entrepreneurs that their single biggest reward from their business is the recognition they get from others. They are motivated by the contribution and value they provide to the lives of others. This gives them a feeling of accomplishment. They feel that they are offering a valuable service to their customers, and they pride themselves on doing the best job possible. The best part of doing it as an entrepreneur is that they get to choose the people with whom they associate. If a business is founded on innovative production and the value it provides to stakeholders such as community, customers and staff, then it is on a solid foundation. Revenue and profits will come because the entrepreneur will be equipped to navigate the complexity of the endeavour and make the changes that ultimately unlocks value, and ensures the business' success. The business then has a higher purpose. We met up Dave and Kathy from Dave's Hot Pepper Jelly in Invermere, British Columbia, to learn about the foundations of their jelly business. Kathy and Dave is one of the first sponsors of the work we do to promote local producers. It is about time we tell their inspiring story. 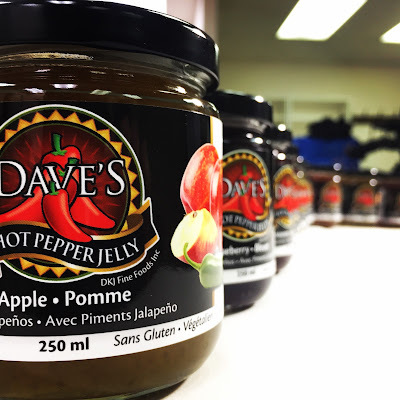 The company was motivated by Dave's love of hot and zesty foods. After trying a flavoured Jalapeno jelly, Dave thought he could do better and began experimenting with his own flavours. He started cooking up batches of Jalapeno jelly more than 20 years ago. Originally, Dave would give it away to his friends and acquaintances. After giving away several hundred jars, he realised there was probably a market for his creation. He set up his first outlet with the Invermere Farmers' Market. 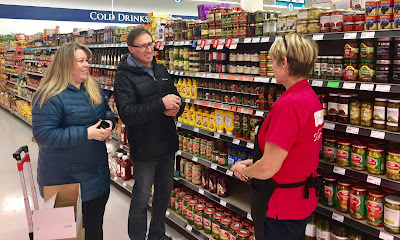 When he met his wife Kathy, who was also a devotee of all things spicy, they decided to turn their collective passion for hot foods into a family business. 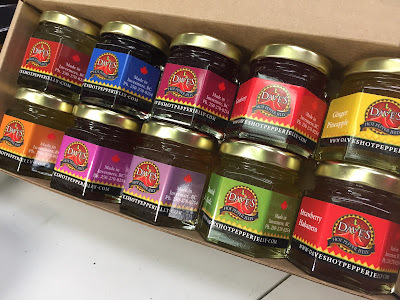 The result is the ten flavours of Dave's Hot Pepper Jelly, many markets and lots of travel later, several retail speciality stores and supermarkets stocking the treat. The next chapter in this business is still to be written. We have a feeling it has the potential to make a significant social and community contribution in the Invermere area. It may be the catalyst to inspire more makers to start businesses possibly with social value. This business is not just about jelly. It can be a whole lot more. When we listen to Kathy's passion, we are betting it will be. We have two favourite applications, other than the obvious uses for Dave's Hot Pepper Jelly. The one is with fried Camembert cheese. Put the Camembert (or Brie) in a pan. Top it with your desired flavour from Dave's jelly and watch the cheese melt and the jelly caramelise. Eat with toast or on a South American arepa. Delicious! The second application may be more traditional. We've put it on barbequed salmon while cooking on the grill with a little herb D'Provence, salt and a lot of lemon juice. It introduced spicy sweetness with a definite bite and cuts through the fattiness of the fish. Highly recommended! Dave and Kathy have been supporters of our cause from the start, and we thank them from the bottom of our hearts for valuing the work we do. We hope we can return the favour manyfold as we encounter them on our travels through Alberta, BC and beyond. We encourage you to support them and their business. Part of the joy and fun of having your own business is being able to take it in any direction you want to go. 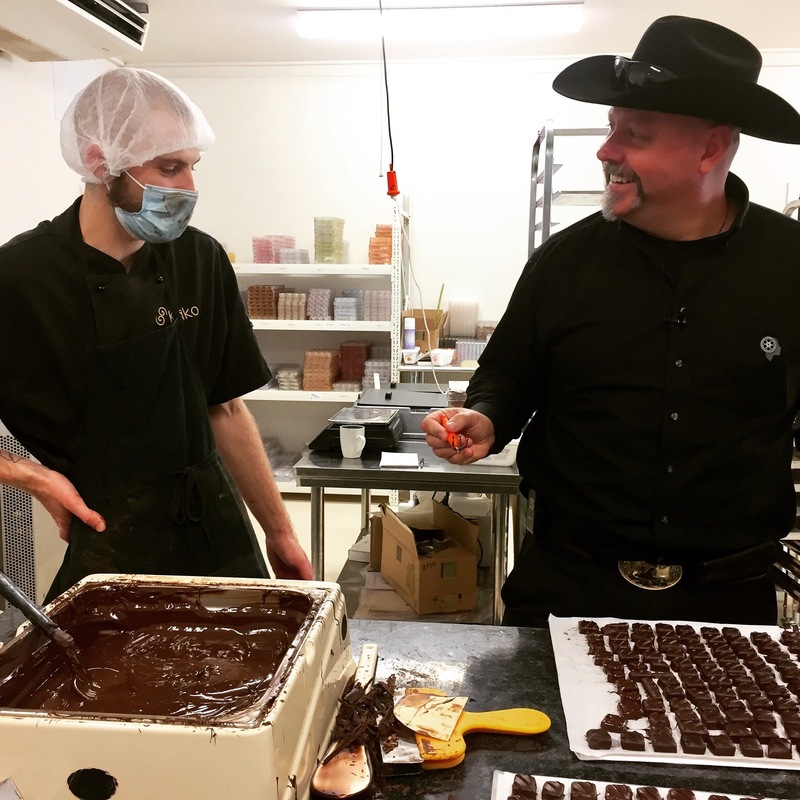 It is one of the reasons why Stuart at Kako Chocolate continues to innovate. 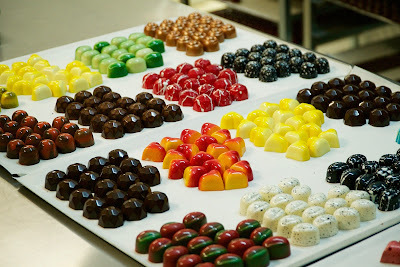 He is a creative chocolatier that makes beautiful and tasty treats. Stuart is always experimenting with new flavours, colours, ingredients and packaging. 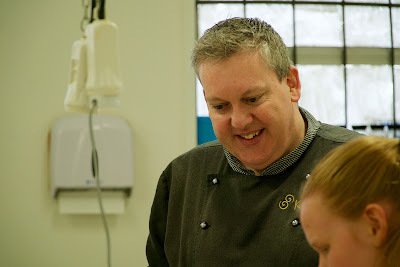 During the last few years, he also shared his knowledge freely with anyone prepared to attend his chocolate mastery classes in Auckland, New Zealand. Like any artisan maker business, Stuart has to overcome the massive obstacle of getting his product to customers. It is a constant struggle to deliver an affordable product, and also have enough margin to continue to be in business. Typical options include retailing, wholesaling and markets. A key strategy is to sell directly to consumers to maintain higher margins. At the same time, the challenge is to keep overhead low to hold on to the hard-earned cash. A store on the main street of a town or in a shopping mall makes it easy for customers to find you, but the rents and license fees can quickly make it unprofitable. The alternative is wholesale supply. The typical portion that would have gone to the landlord instead ends up as retail margin in someone else's pocket. That is why markets provide an attractive option for makers. It is a more economical way to sell directly to consumers. However, there is not a market every day. Online sales is another and increasingly popular option that allows artisans to sell and supply directly to customers without expensive overheads. Shipping cost makes up a fraction of the expense of the sale, and it allows the artisan to keep his or her product affordable with more margin in their pockets. 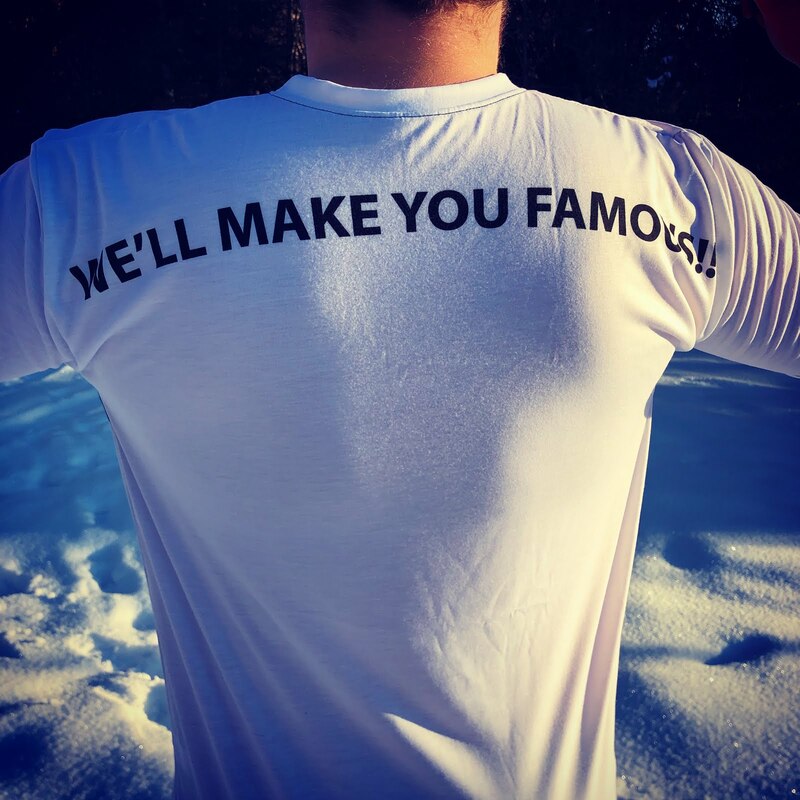 However, the online world is an enormous place, and it is hard (and can be expensive) to get the attention of prospective customers and keep the awareness of existing ones. This is the single biggest obstacle to overcome. 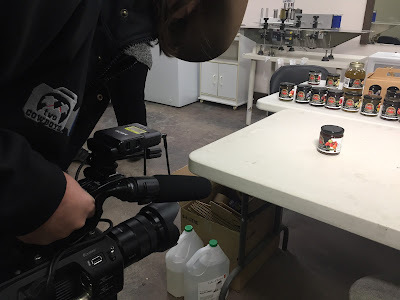 Most artisans do overcome it if their product is delicious, unique and good value and they invest their time and marketing budget carefully in curated and engaging promotional online content. That is why the direct subscription model is becoming more and more popular particularly for artisans producing consumable products like chocolate, coffee, jams, jellies and more. The thinking is that a customer is likely to buy the product anyway, and the maker fills the anticipated need with a periodic (monthly or weekly) delivery of a favourite and something new, to keep the interest. The subscription model is favoured over a simple once off sale because, while it may have been relatively easy to get the attention of an online customer once, it is becoming increasingly difficult to get attention and keep it regularly. Ideally, once a customer is engaged, it is better to retain it without the need to entice them frequently for another sale in a very noisy online market. Rather, keep an open channel with the customer through a captivating communication flow like a subscription. This way everybody wins. The artisan has a steady commitment of customer orders and can plan production accordingly. He or she has the opportunity to make the product more affordable and earn more from it while building brand loyalty. The consumer has the convenience of online shopping and delivery, and one less thing to worry about in their busy schedules. In most cases, the products may even be more affordable and better quality than the store bought options. 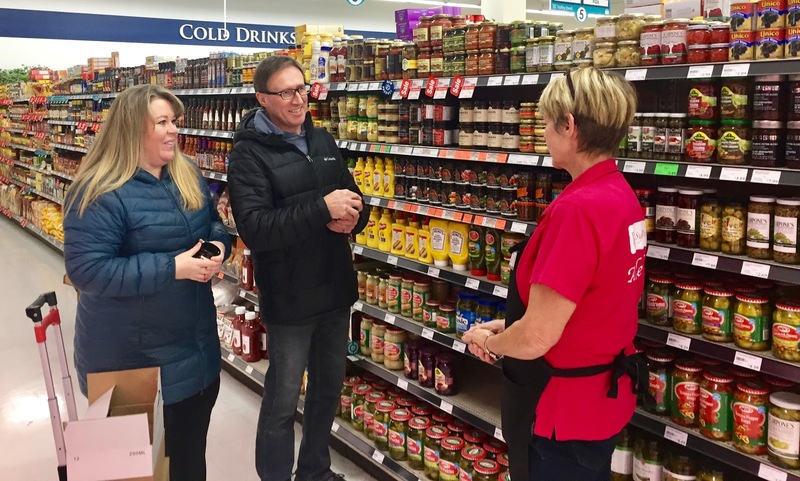 There is ample opportunity for the maker to innovate and experiment and get timely customer feedback on new products, flavours, preferences and tastes. This is precisely where Stuart's latest innovation lands. More chocolate, different flavours, more margin, simplicity and great value for chocolate lovers through a My Chocolate Box subscription. All Stuart and his team's chocolate experiments and innovation delivered directly to consumers through a monthly chocolate subscription service. My Chocolate Box is a deliciously tasty new way for chocolate lovers to experience a better quality chocolate delivered directly to their door. Unfortunately, the chocolate subscription service is currently only available in New Zealand at the moment. However, if you are in the consumable artisan product business anywhere else in the world, you should pay attention. Each month, a subscriber receives a chocolate box containing an assortment of gourmet New Zealand handmade Kako chocolate products. They promise not to use flash packaging, which in the chocolate business can sometimes cost more than the product itself. Instead, the subscriber gets more bang for their buck, with lots more product. Less cardboard and plastic. More chocolate! Stuart's commitment to the new service is to get his subscribers the perfect balance of quantity and quality to wholly capture and keep their chocolate attention. His target for 2017 is to have 2,000 chocoholics enlisted. It sounds like a whole lot of fun and a great way to generate a huge amount of value all round for everyone involved (including the Dentist). 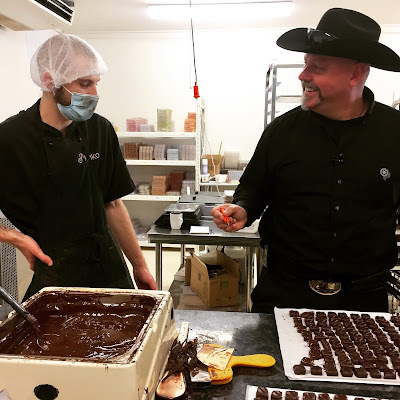 We congratulate Stuart on his newest innovation at Kako and will eagerly follow his journey as he makes his chocolate (prescription) subscription business a reality in New Zealand. Who knows, we may have some of it in Canada soon. Today, we have a big announcement. It is a major milestone on our journey and a huge validation of our cause. We've obtained the commitment and support of our first large, inspiring, community focused Sponsor. 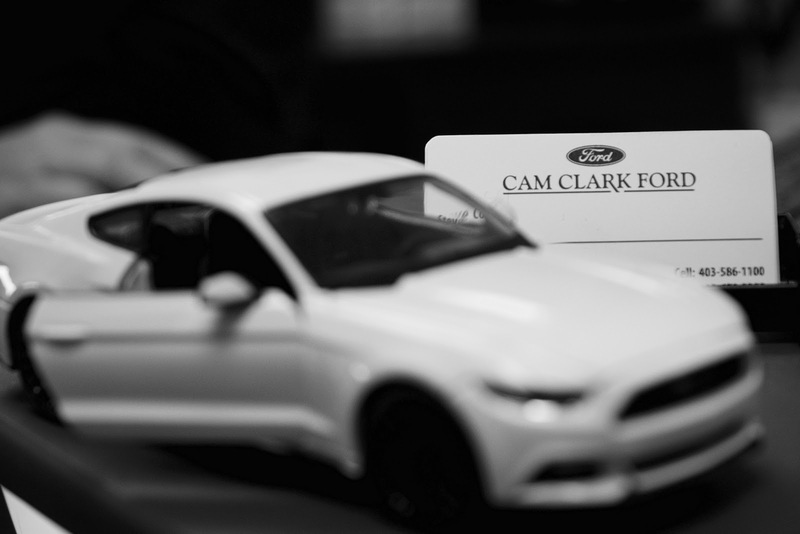 Cam Clark Ford is giving us a hand to bring you more stories from our producers in Southern Alberta. They are helping us to give our entrepreneurs and local businesses a big promotional hand. We now have extra resources available to feature our people. It's been a year since we've launched the first content for Two Cowboys & A Camera. In this year we've promoted many local producers - people that make things. We've promoted local markets where microbusiness operate and where major businesses are validated. We've covered festivals and events that showcase craftsmen and woman. We've told stories of people with a passion for their art and a commitment to their (often dying, yet iconic) trade. In short, we've been telling the stories of the "little guy" that often works against huge odds to feed their families and make a difference in their community. They are the entrepreneurs that source, employ, produce and serve locally. They are also the customers of larger organisations like Cam Clark Ford. This company, who once was a small business as well, still nurtures the very important values that made it successful in the first place. It is important for Cam Clark Ford to be focussed on the success of its customers and to dedicate resources to foster healthy local communities and prosperous local businesses. When we set out on our journey we made a commitment. Every dollar we get from Sponsors and Patrons we will apply right back to further this cause. With a minimalist outlook, we have hit the road in the second half of our lives to devote all our time and resources to find, explore and highlight the local people that fit this profile. We've invited every one of the people we've covered or encountered to join us in this cause, by contributing to cover our expenses through Patreon and GoFundMe. Some obliged and forwarded the favour. It has helped to strengthen our resolve and boost our confidence. What we've learned is that while we can highlight the stories of many, it is often the smallest and the ones with the least to give, that are the most appreciative of what we did for them. With the help of a major Sponsor like Cam Clark Ford we now have more resources to continue to promote these local business. They are the people that get it, that our local producers are the foundation of our economy and our communities. More people should know about them. 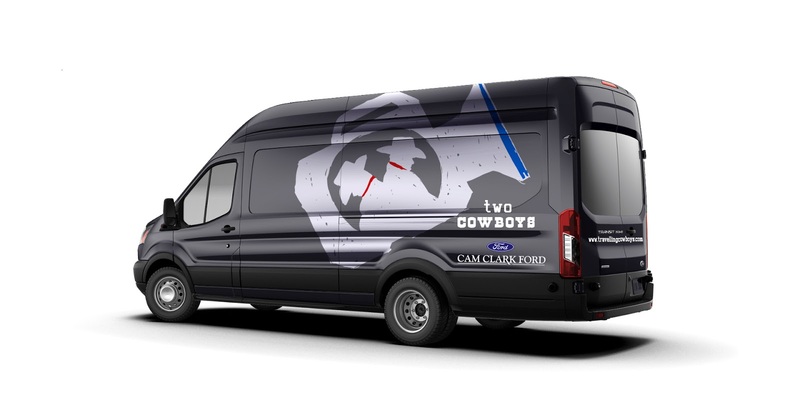 The Two Cowboys & A Camera will be telling their stories thanks to Sponsors such as Cam Clark Ford. Most family businesses don't survive generation three. Forbes states that family businesses generate over fifty percent of the US Gross National Product (GNP). It is no different in Canada, New Zealand or Australia. In fact, it is even more widespread Downunder due to the higher concentration of smaller firms. These businesses are significant economic contributors. They create wealth, and scores of people are involved with them in job creation, local employment and support for activities in their communities. It concerns that less than one-third of family businesses survive the transition from first to second generational ownership. Another fifty percent doesn’t survive the transition from second to the third generation. According to Harvard Business Review, seventy percent of family-owned businesses fail or are sold before the second generation gets a chance to take over. Just ten percent remain active, privately held companies for the third generation to lead. Why is this? The reality is that family businesses only change when the pain is so great that they can’t stay where they are. There are many challenges subsequent generations face such as coping with shifts in technology, changing business models and consumer behaviour. Family firms in developing markets also face new threats from globalisation. Products are made cheaper overseas and shipped all over the world. It threatens smaller local operators. In many ways, leading a family-owned business has never been harder. 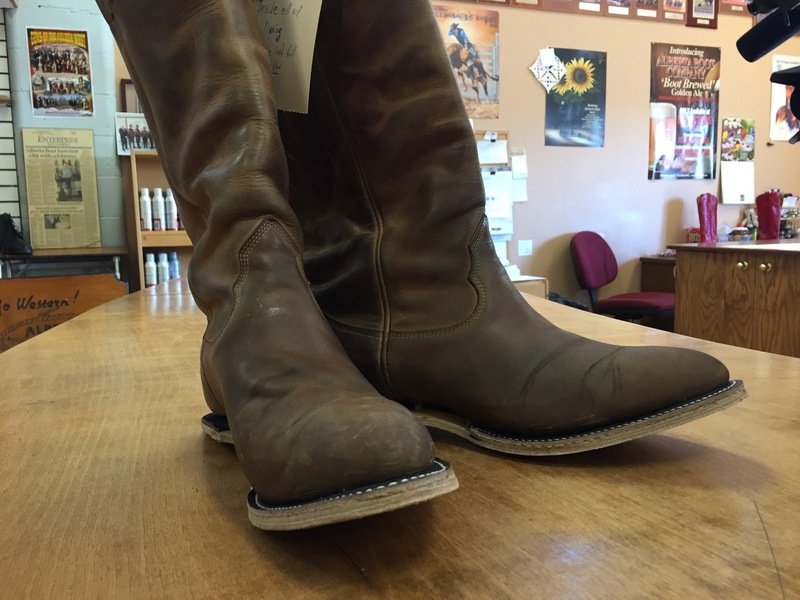 Ben Gerwing is the third generation in charge of Alberta Boot Company Co. He has big shoes to fill because his legacy is integrally part of the western identity of the Province and the city's character thanks to the annual Calgary Stampede event. This comes with opportunity. He also has to battle a substantial amount of inertia as a young proprietor of an iconic brand and the last remaining - only western boot manufacturer left in Western Canada. 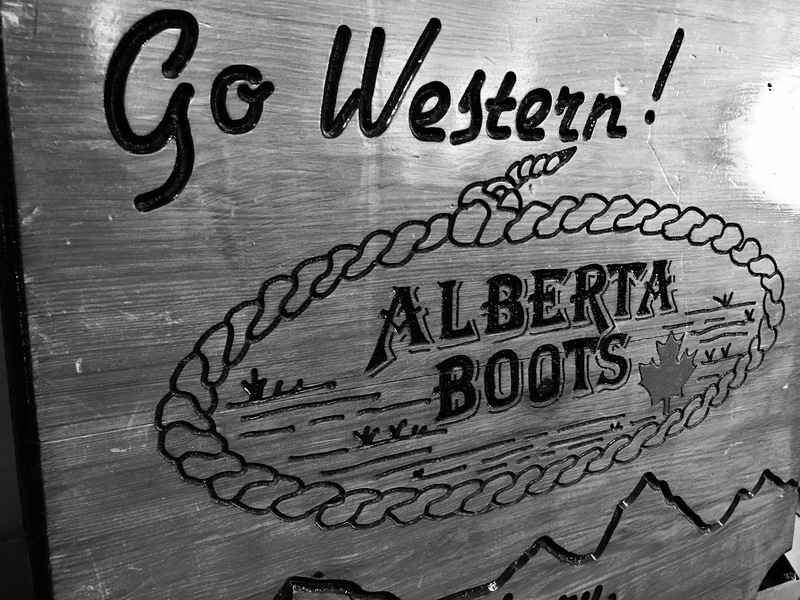 Alberta Boot Co. was an idea that came from Ben's grandfather, Clement Gerwing in the mid-1970's. He was selling western boots from Mexico and Quebec out of his wholesale footwear store. The demand for well made western boots was high, and he didn't like the quality and products coming in from out of Province and out of Country. This was when he decided to start a new venture at an age many were considering retirement. 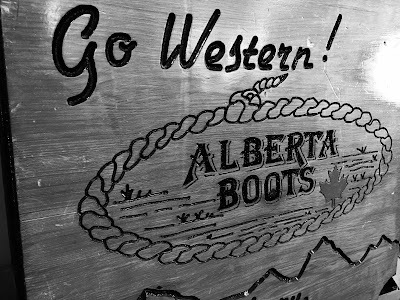 Alberta Boot Co. was founded as premium western boot manufacturer. 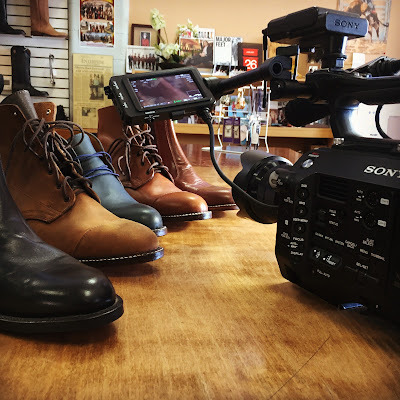 Thirty-nine years later they still make all their boots the same way they did at the beginning, even using quite a few of the original machines to add to the allure and individuality of every pair of boots produced. 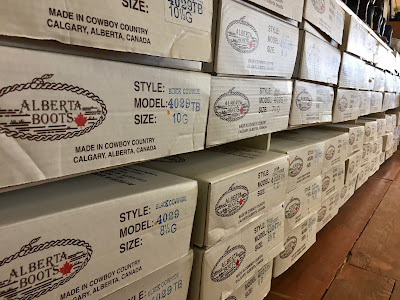 Alberta Boot Co. has outfitted Royalty, movie stars, entertainers, celebrities, athletes, public figures, religious leaders, and most importantly - ordinary people from all over the world who are intrigued by the mystique of the Wild West! "There is no greater compliment that we could receive," Ben says, "than when a customer comes into our store and lays down their hard earned money for a pair of Alberta Boots. People still appreciate quality hand-made boots. I admire Ben for his continued commitment to the foundational values of the business he inherited. He remains dedicated to his heritage and to the community that trusts him to continue the legacy. Alberta Boot Co. was founded on hand-crafted quality custom boots and personal service. With these values firmly ingrained, Ben is now taking cautious steps towards moving Alberta Boot Co. into the new millennium, with newer products for a younger, urban and more contemporary consumer. The good news is that it is made with the same uncompromising commitment because the core values of his business don't go out of fashion. Ever! We checked in with Ben to get instructions on how to take care of our Alberta Boots during the cold, dry Canadian winter months. If you don't yet have a pair of boots, you can order a pair online. No, it is not the "one-click" order variety that so many online stores offer nowadays. Fortunately, you will still have to talk to a real person. The good news is that once they have your size, it is easy to order another pair or a different style. Ask for Ben. Tell him the Two Cowboys sent you. Remember that you better like and look after your boots. You are going to have them for a very long time.